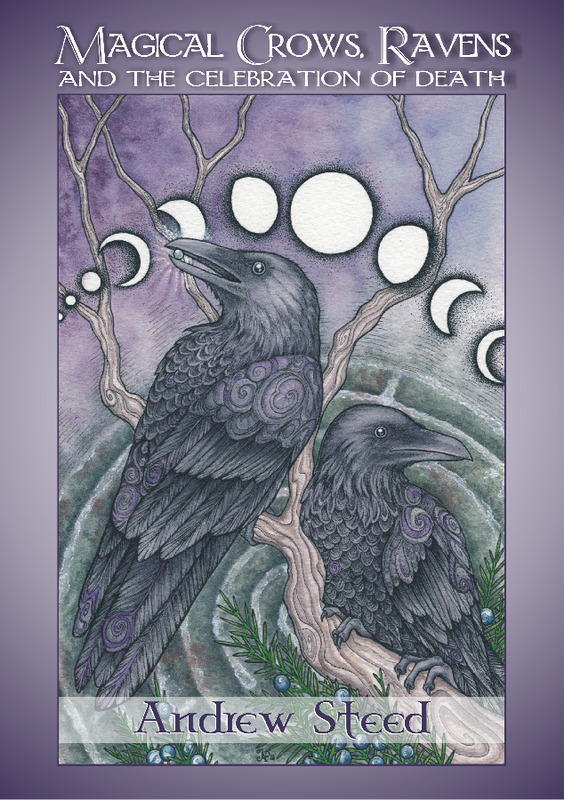 "Magical Crows, Ravens and the Celebration of Death"
I recently had the honor of working with friend and teacher, Andrew Steed on the cover of his latest book release! "Magical Crows, Ravens and the Celebration of Death" is available now for pre-release on Kindle. See the links below to pre-order your copy before October 9th for $3.99 £3.05. After this date the price goes up to $5.99 (around £5). A paperback copy will also become available on Amazon this October. For other countries please check your Amazon store. 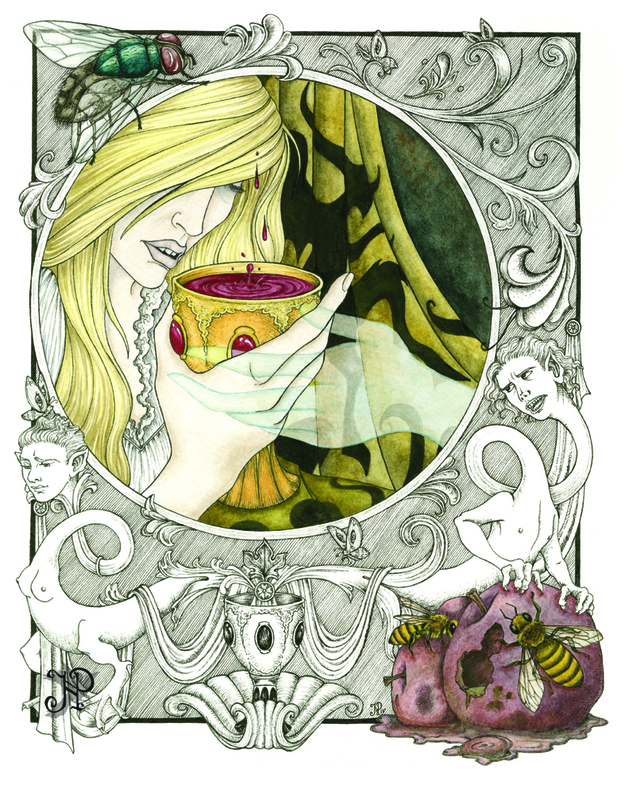 The "Ligeia" series for the Poe Museum of Richmond... The show runs until June 2018 and there will be a special re-opening event at their April 26th 'Unhappy Hour'. Stop by for spooky fun, chat with me, and view these paintings in person. 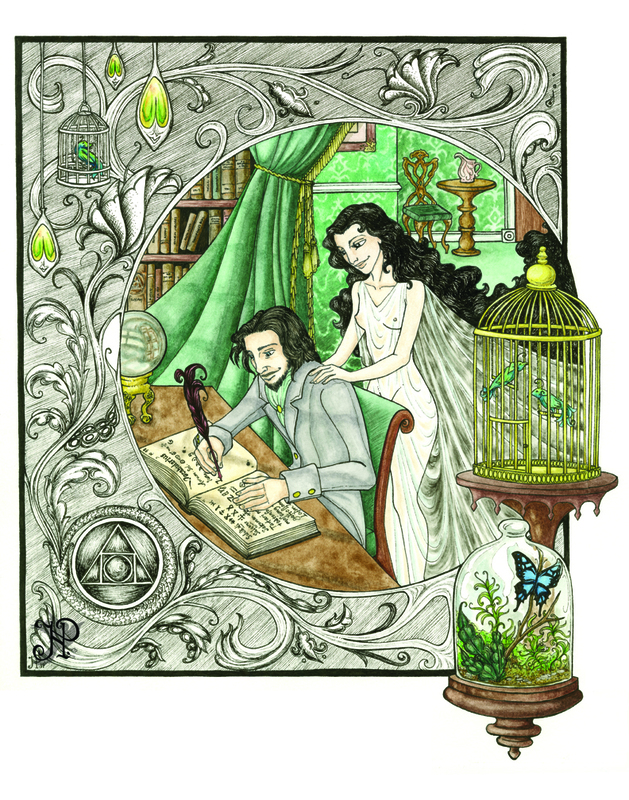 Happy February, my freaky darlings! 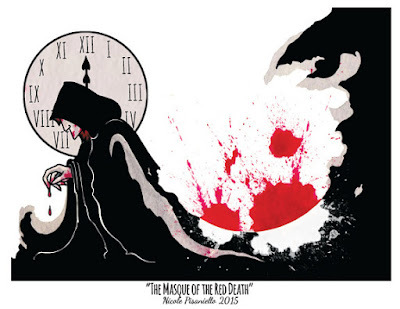 It's apparently the month of love, and what could be more romantic than reminding that special someone in your life that Death is just around the corner? 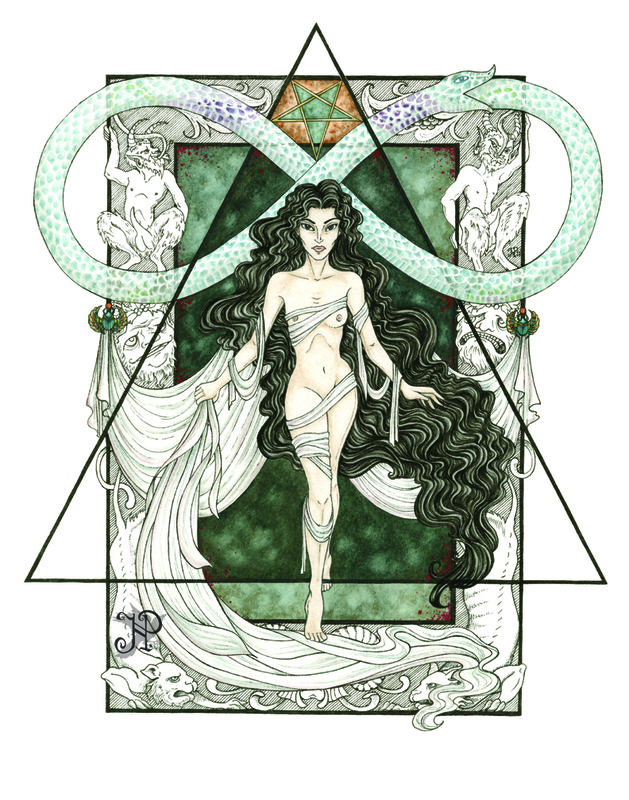 How better to express your affections than with a warning never to become too prideful? 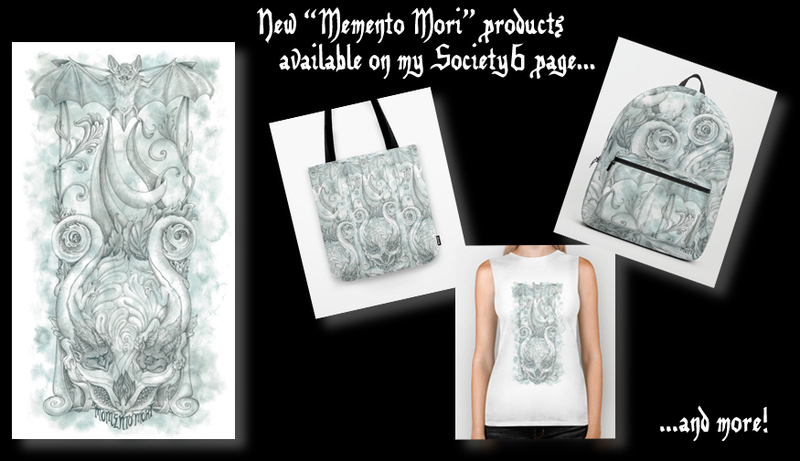 Now you can do just that with these lovely new 'Memento Mori' products now available in my Society6 Shop! 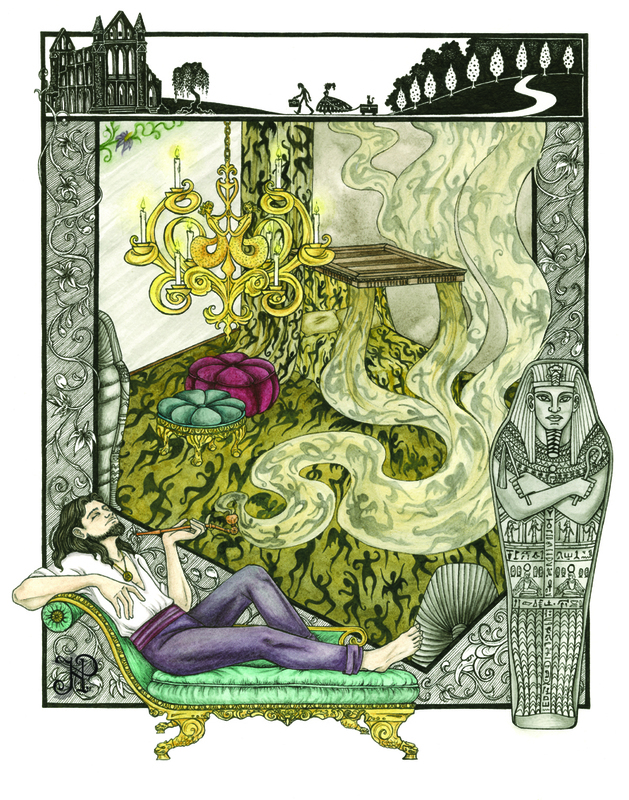 Ligeia: Death, Resurrection, and the Female Ideal - Opening Reception! 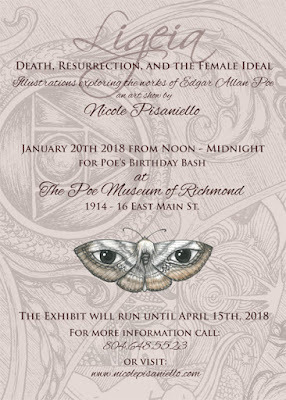 Please join me January 20th, 2018 at The Poe Museum in Richmond, Va. for the opening of my solo exhibit: Ligeia: Death, Resurrection, and the Female Ideal. 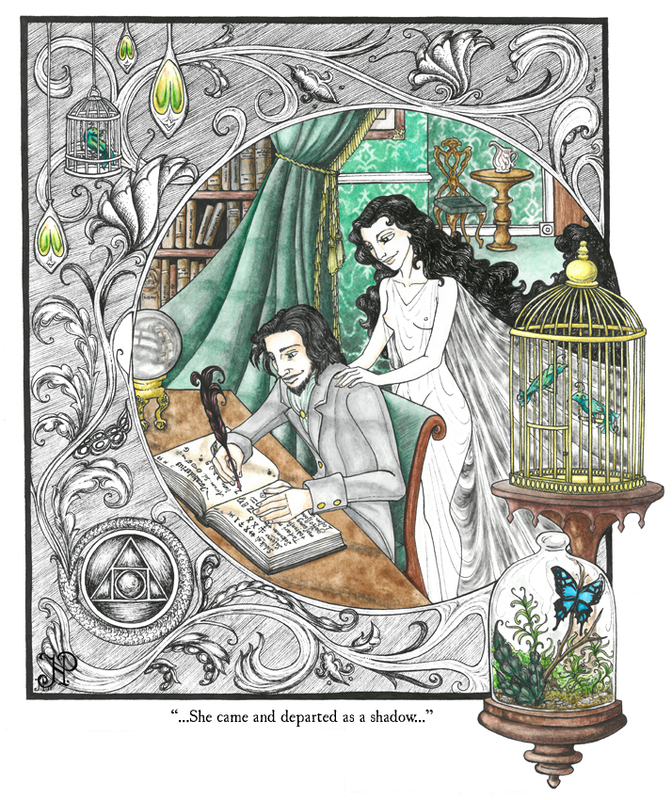 I will be showcasing 8 of my latest ink and watercolor paintings that illustrate two of Edgar Allan Poe's short stories: "Ligeia" and "The Island of the Fay". 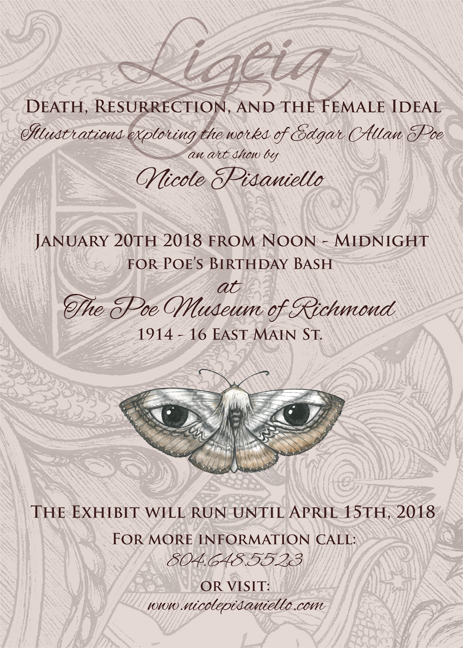 The event is part of Poe's annual Birthday Bash event at the museum. For more information, follow the facebook event. 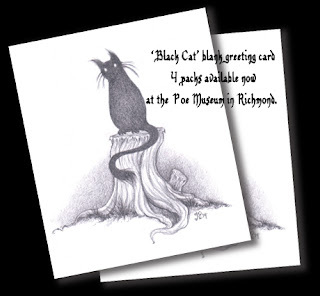 New Merch at the Poe Museum in Richmond! You can now find these products available in the gift shop at the Poe Museum. 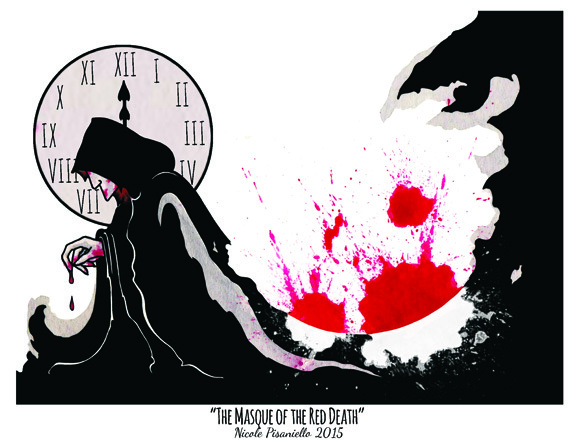 My 8.5x11 "Masque of the Red Death" art prints and "Black Cat" greeting card 4-packs. 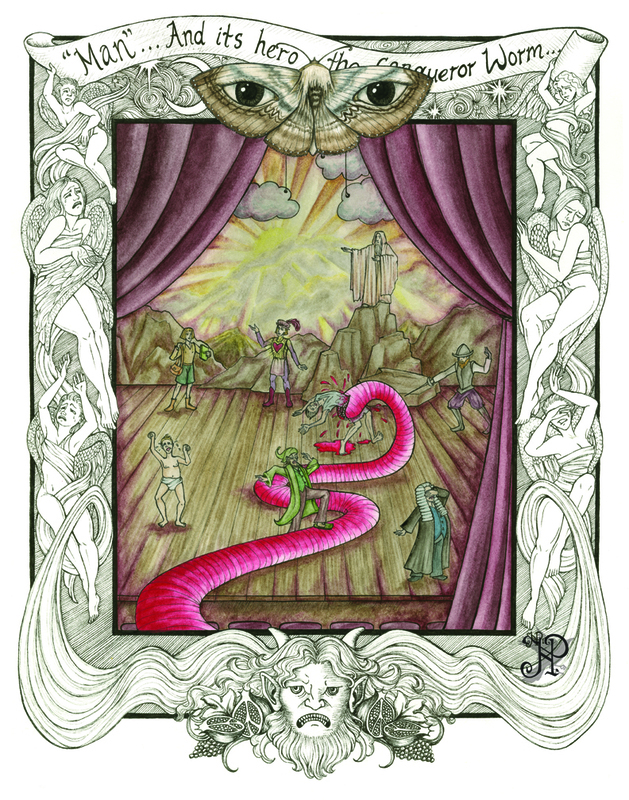 All artwork is © Nicole Pisaniello 2017 and may not be reproduced or used in any way without express permission.